It was a foregone conclusion that after the utterly lackluster and uninspired trip to Varadero (see previous blog post), that we would much prefer Havana. 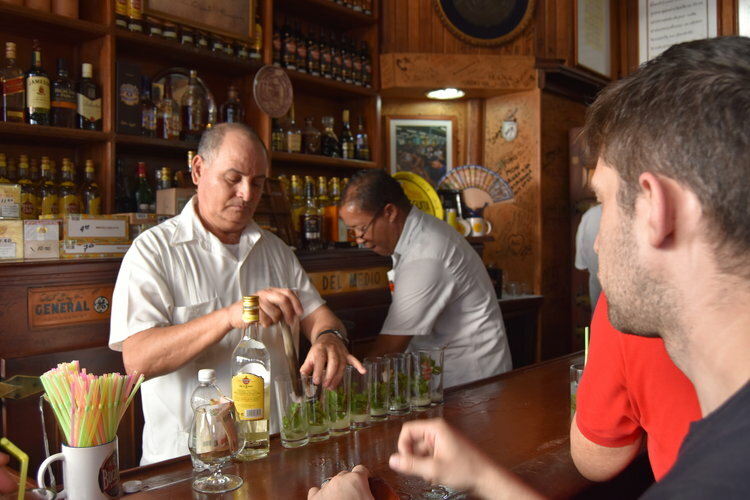 The tour is not very long and comprises a brief movie with the backstory behind the iconic woman on the Havana Club label (the mayor’s wife) and a room with a large, intricate model set of a rum planation. Most of the tour (if conducted in English) involved the tour guide explaining how to say specific alcohol-related phrases, such as “cheers”, in Spanish, Japanese, German, Chinese, and Russian. One “do not miss” part of the museum is the Guarvana cocktail: a fresh orange and fresh sugarcane juice concoction with rum. It’s available in the lobby (tour not required). 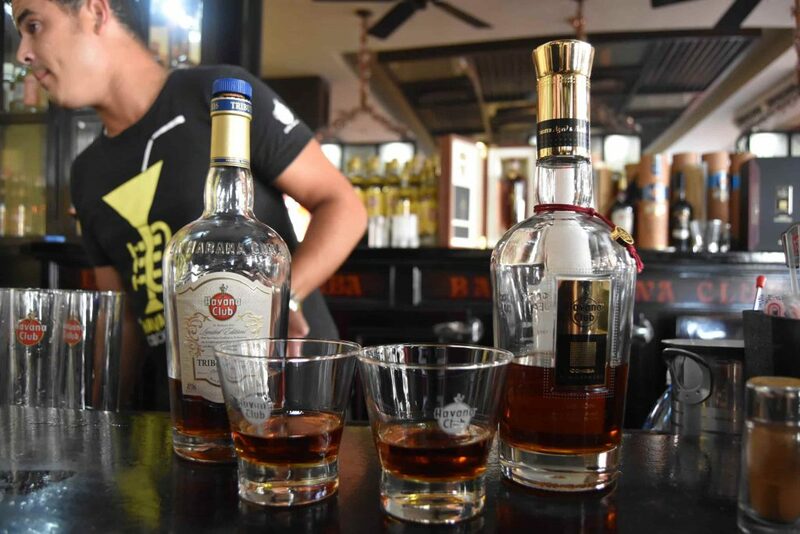 Sugarcane is pressed fresh in front of you, and you can choose to have it with either Havana Club 3 años or 7 años. 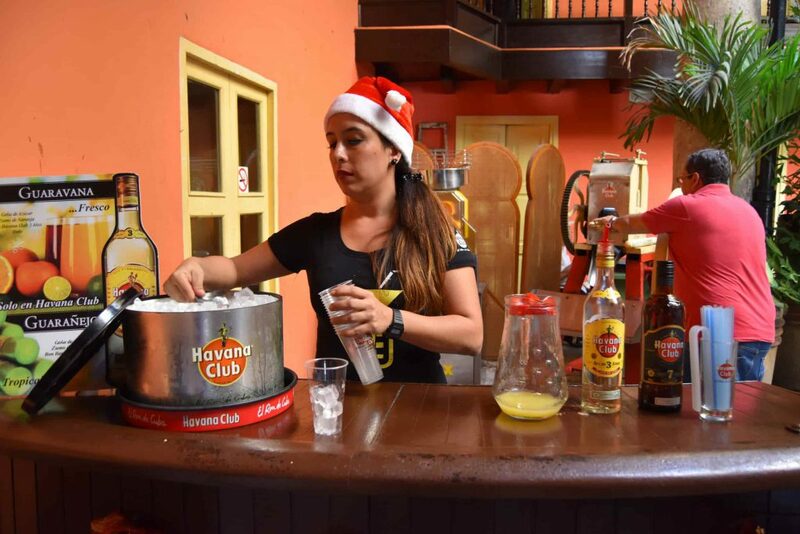 At the end of the tour, you will enter a bar featuring a large poster of cocktails made with Havana Club. Sadly, the none of the bars in the Havana Club museum will actually make the more interesting-sounding cocktails on the poster, such as the Chaparra or Presidente. You will, however, get a free taste of the less expensive Havana Clubs. We ended up getting $40/pour Havana Club Union and Havana Club Tribute (accidentally, because we heard “$14” instead of “$40”). Both were excellent. 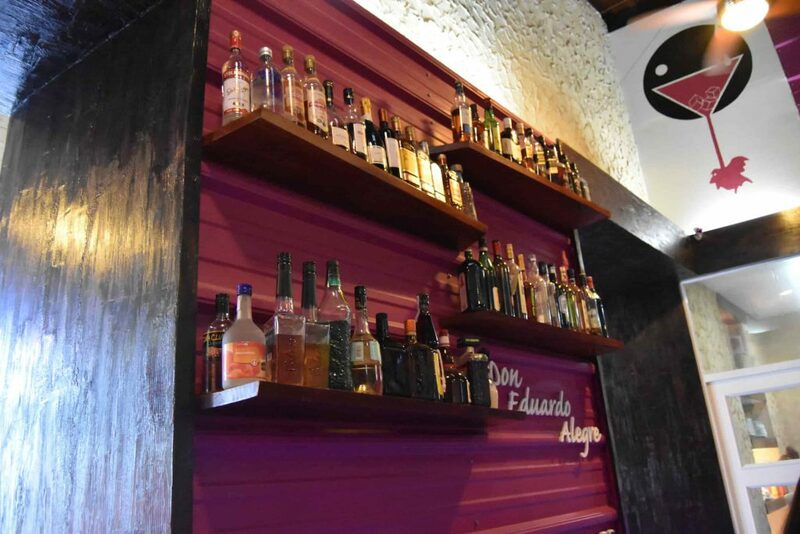 After the Havana Club museum, you can stop by Dos Hermanos (next door). The drinks aren’t exceptional – but our bartender was friendly and even tried to make me a “negroni” when requested. His spin on a negroni involved lime, mint, and sugar (he apologized that he did not have the honey required for the cocktail). “Dos Hermanos Negroni”: lime, mint, rum, and sugar (substituted in because they didn’t have honey). Not even close to a Negroni but it was quite tasty! 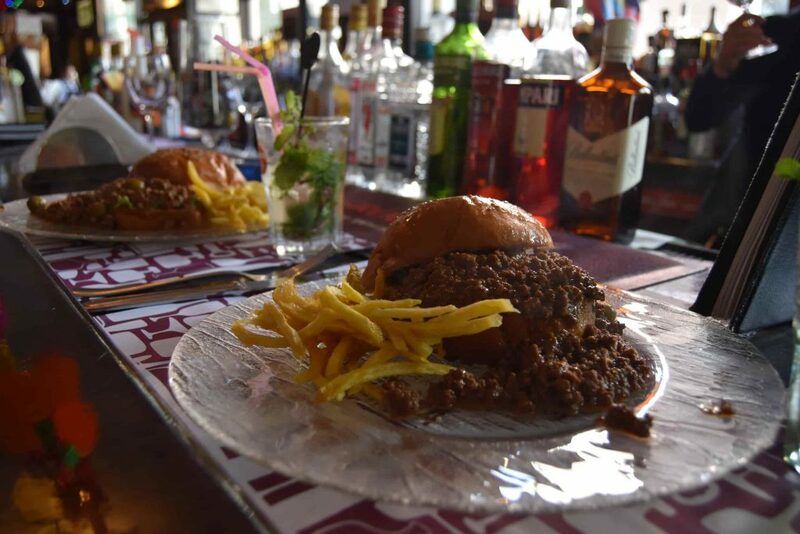 Although not the originator of the cafeteria staple, Sloppy Joe’s is definitely worth a visit when in Havana. The owner’s real name was Jose… but Sloppy Jose’s doesn’t have the same ring to it. He worked as bartender in Florida for 6 years before returning to Cuba and opening Sloppy Joe’s, which became a major hub for Americans to visit during the prohibition years. Their liquor menu is quite extensive – and I was able to score a real negroni there. Plus, they give you complimentary plaintain chips while you drink :). 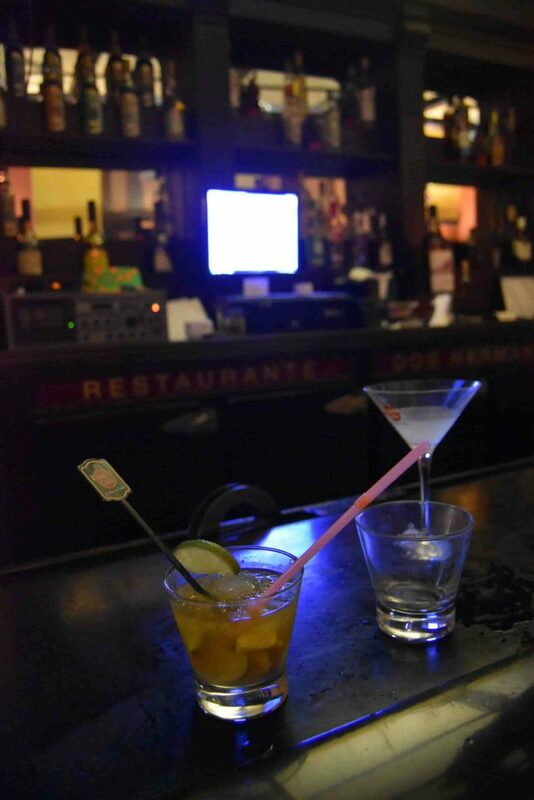 We spent most of the time in Havana stumbling from bar to bar with no prior research (no internet!). This was probably our favorite not well-known bar – there is a cocktail list beyond the Big Three Cuban cocktails (daquiri, mojito, cuba libre) and you imbibe while sitting on a veranda overlooking one of the main plazas. 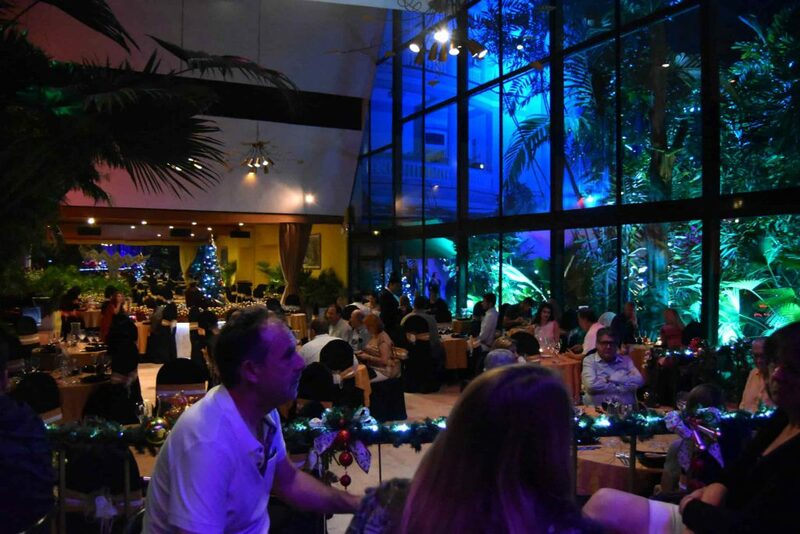 The major highlight of their menu was the Caipirinha – it was the best we tasted in Cuba. 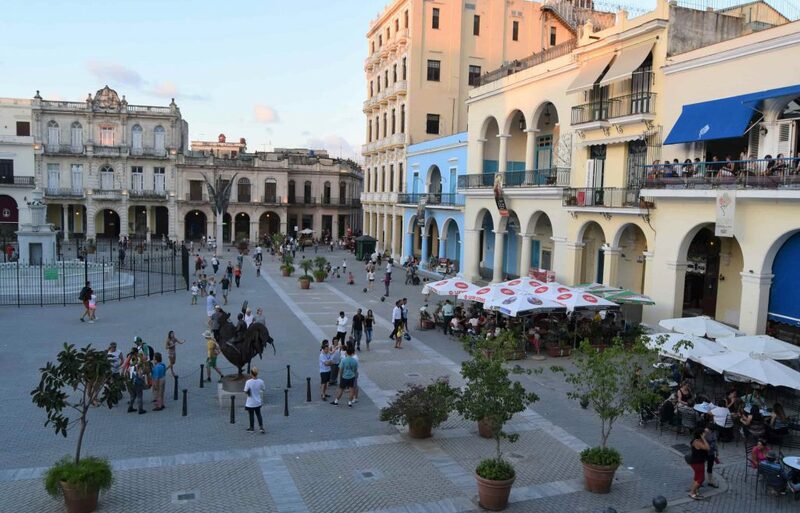 One hack that we did not realize until the very last day of Cuba was wandering into the expensive Melia resorts and sipping rum while surfing the internet on our phones (you can buy cards on the street – many of the hotels will not allow you to purchase them unless you are a guest). 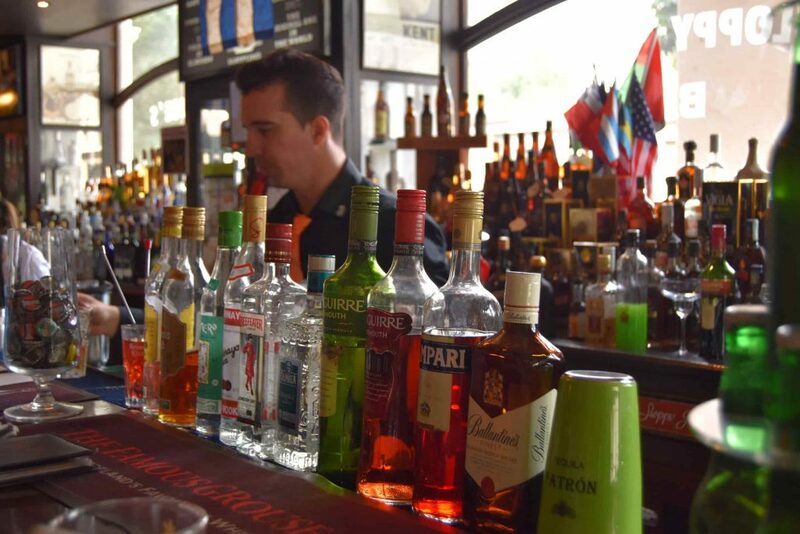 Drinks tend to be on the pricier side (~$8), but there are some deals, such as the Havana Club coming in at $35 a pour (versus $40 at the Havana Club museum). Also, by the third day of no internet access, the excess $1-2 per drink seemed to be well worth the ability to anti-socially surf the net on your phone while drinking. 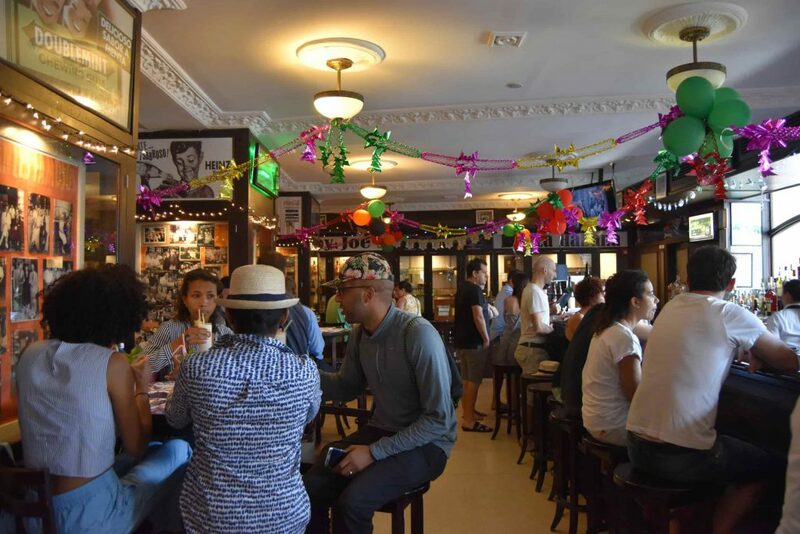 Hemingway’s favorite spots have become bastardized into tourist refugee camps that serve overpriced and mediocre drinks. 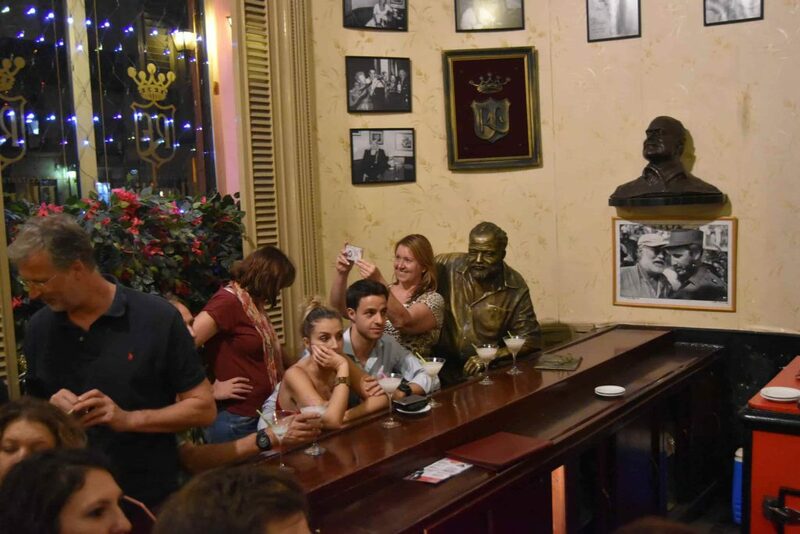 El Floridita was his daquiri spot while La Bodeguita del Medio was his moquito spot. 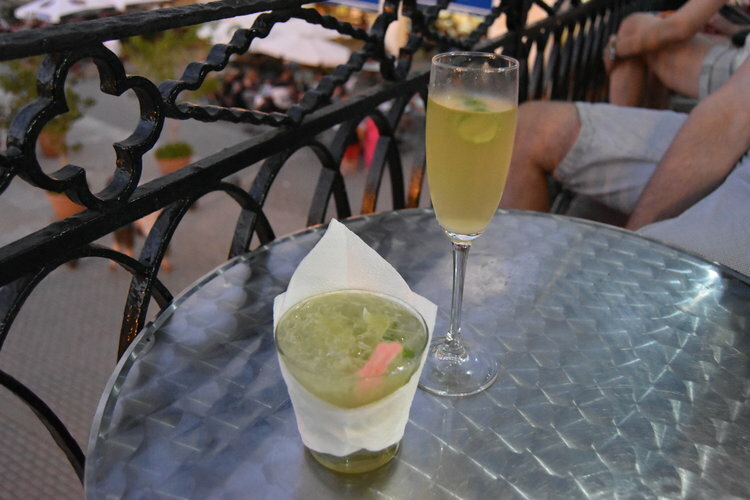 My hope had been the El Floridita would serve the super alcoholic daquiris that Hemingway notoriously preferred (rather than the sugary sweet versions common to all Cuban bars), but alas it was not so. You get the same daquiri and the same mojito as every other venue – but with double the price tag and quadruple the crowd. The look on the couples faces is priceless. 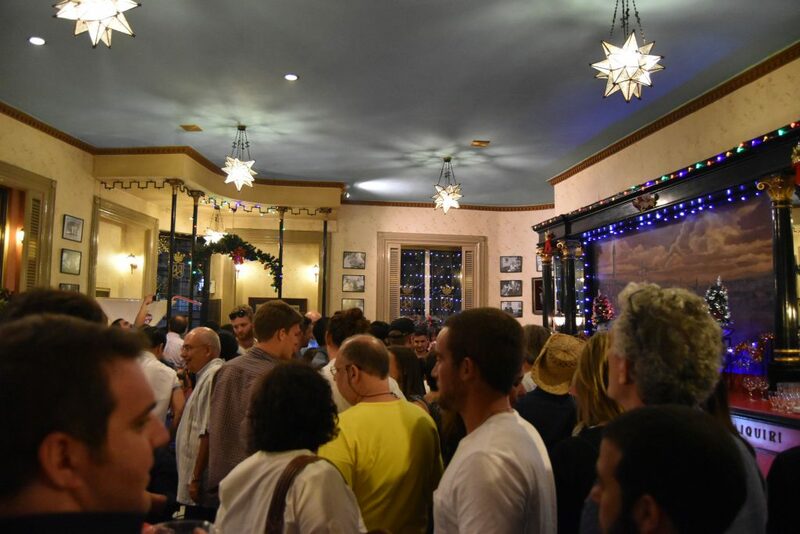 The crowds at Floridita were nuts. Just because it was good when Hemingway went there doesn’t mean it’s good now. It’s beautiful inside, but it’s a bit removed from everything and the food and drinks are not only terrible but overpriced. We did not see the show, however… which is the main event. Perhaps it’s worth it for the cabaret. If you go make sure to bring pants or you’ll have to rent some, aka bribe the lady who works at the front office for pants. FYI, the drinking age in Havana Cuba is Only 16.